Rich Lindsey shows Senator Doug Jones around the new Cherokee Gin. 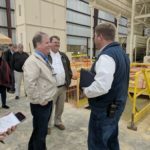 Senator Doug Jones (D-AL) visited the site of the new Cherokee Gin in Centre, AL yesterday. The Senator was making several stops around the state this week prior to spending time with his family over Thanksgiving. 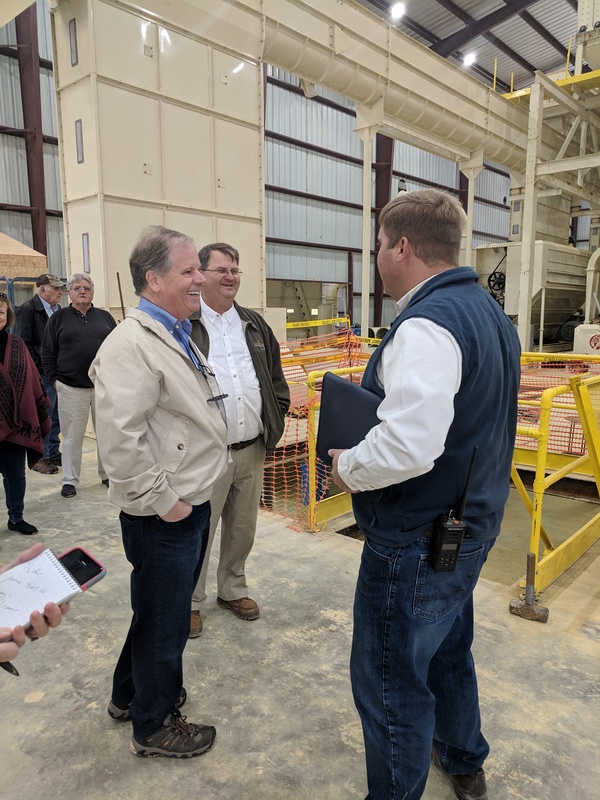 The owners and staff of the gin were on site to give Senator Jones around the gin which is currently under construction outside the city of Centre, AL. Along with the Senator a few of his staff, local media and city leaders were also on hand. 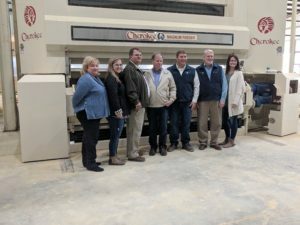 The owners and staff of Cherokee Gin with Senator Doug Jones(center). Cherokee Gin, the last gin in Cherokee county, is currently ginning on their gin in town. Rich Lindsey, manager of the gin, expects the new facility to be running sometime in early to mid-December. When it opens, it will be one of the highest capacity gins in the SE. The gin is an all Alabama affair with all the equipment built in Alabama. 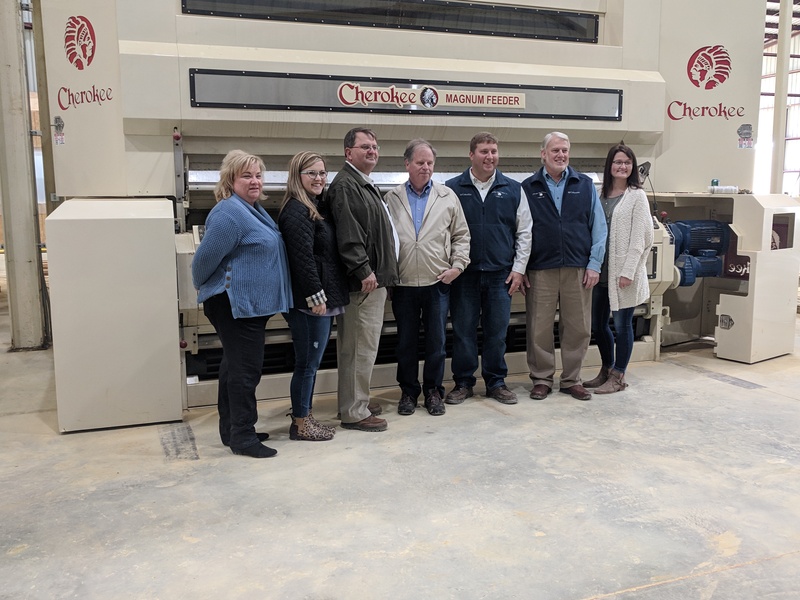 There seems to be a theme with Cherokee Machinery in Cherokee Gin which is in Cherokee County, AL. We all look forward to seeing it run. This gin is one of two gins to be built from the ground up this year in Alabama indicating a resurgence for cotton in the state. A more detailed profile of the two new gins will be forthcoming.